At LW Renovations our builders and tradespeople have over 2 decades of combined experience. We understand that great customer service is the key to success and our proud that over 50% of our business is gained through customer recommendations. All of our tradespeople are friendly and approachable and work to a very high standard. LW Renovations offer professional building services to clients in South London. We are able to offer a full service from design and planning through to painting and decorating. Our builders can project manage your project to ensure that it comes in on schedule as well as within budget. We offer a full range of building services in South West London and cover work from extensions and conversions to remodelling and refurbishment. We mainly focus on residential projects within South London and our builders have many years of experience renovating properties in London�s top postcodes. All our work is guaranteed and all our tradespeople have full public liability insurance for your peace of mind. Why choose LW Renovations Builders in South London? As well as offering free no obligation quotes, great customer service and competitive prices, at LW Renovations we pride ourselves on providing a top quality finish. 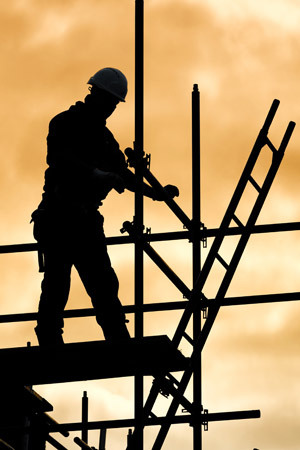 All work is fully guaranteed and all our workers have full public liability insurance. So if you are looking to get your house renovated, looking to extend, or would just like to remodel your house, get in touch with LW Renovations builders today on 020 8785 1201. ALW Renovations we make sure that all building services we undertake cause the minimum amount of disruption to our customers. We will provide guidance and advice during the building process to ensure that any problems are resolved quickly and efficiently. All building work will also be carried out to building regulations standards and approved on completion. We undertake all types of residential and commercial refurbishment work and projects including: houses, flats, shops, offices and commercial buildings. We are proud of our professional service and the quality, reliability and customer service of all of our tradespeople. To ensure that you get the best possible price for your project we communicate efficiently and are open and honest about timescales and project costs. We deliver on time and to budget. No nasty surprises or hidden extras. All work comes guaranteed and insured.